The Ladies' Guide to Surviving Anypocalypse: Could the Seven Deadly Sins Stop You from Surviving? Wanting what someone else has that you do not, especially in a survival situation, is normal. When kept in check, it can be healthy because it motivates you to strive for that which you do not yet have. However, when envy becomes more than a desire for something, when it becomes an all-consuming need, trouble soon follows. Obsession rarely ends well. In day-to-day situations, it causes people to act irrationally and often violently. Irrational and violent behavior during an apocalypse would be suicidal. 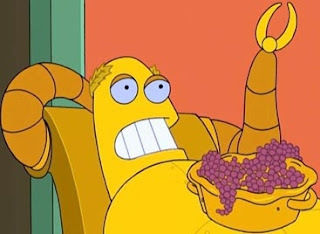 Greed and Envy are Apocalypse buddies. When used as a motivator, greed can be just what you need to get you through the hardest of times. Like its brother, when Greed becomes an obsession, you are pretty much doomed. Allowing it to rule your rationale and intellect will lead to irrational and stupid mistakes. Lust can be good: In the future, the world has been rent asunder. A lone woman strikes off into the post-apocalyptic wilderness to find food and shelter for her clan. She uses the muscles and curves of her work hardened body to ply men – and women when needs be – into providing what she and her people need. Gluttony has obvious drawbacks. Imbibing or eating too much makes one sluggish at best. At worst, it can make you fat, easy prey, and more likely to have major organs fail. During an apocalypse, when everything should be rationed, gluttony can kill. Also, imbibing any mind altering substance when you are supposed to be surviving is not a good idea. As Proverbs 16:18 says, "Pride goeth before destruction, and a haughty spirit before a fall." Or, if you think too highly of yourself, you will walk into your own destruction. Stay humble and alert. You may have great skills, but you are capable of error. In an apocalypse, even small mistakes can be grievous. Taking a breather and relaxing now and then is not a bad idea. However, if you spend most of your time sitting around and enjoying the toxic post-atmosphere sunlight, you will be in for a world of hurt. And no, I am not talking about the sunburn you’ll get. In the post-apocalyptic nightmare we call home, you will need to build, gather, rend, cook, sew, plant, sow, and work really, really hard. Hanging around the cesspool all day is a surefire way to land yourself in hot water when it comes time to sit in your shelter and eat your dinner. Anger is a completely normal emotion. It can be a great motivating force. But if it's taken too far, anger will morph and change into something dark, sinister, and toxic. Wrath is to anger what a tsunami is to a strong ocean swell. Quite simply, Wrath destroys. All your energy, all your focus, all your being is consumed by a desire - nay, a Need - to destroy someone or something else. Anyone who gets in the way is doomed. 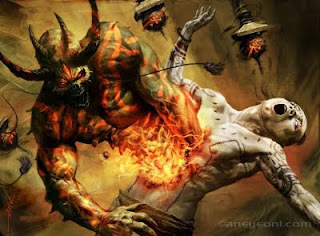 Wanting to send Satan's Demon Army back to Hell is admirable! But if you let your desire become so all encompassing that your own welfare is of no consequence, that people are nothing but pawns to be pushed and shoved about until you achieve your goal, no one in contact with you will survive. In fact, you'll end up shoveling the Coals of Hell with the other Damned. 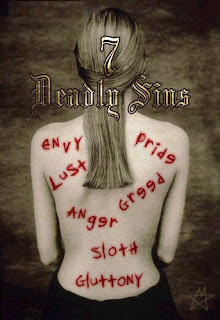 What effect would the Seven Deadly Sins have on your chances of survival? Tell us in the comments.